PS4, Wii U, and 3DS price updated; strides for PS Vita version. Yacht Club Games has cancelled the retail version of Shovel Knight for Xbox One, the developer announced. It will now only be available physically for PlayStation 4, Wii U, and 3DS. The studio also said it’s ‘working its hardest’ to make a PS Vita retail version possible, though if it happens it won’t be coming this holiday. Additionally, the publisher announced a price change for the retail version. It’s been raised from $19.99 to $24.99. 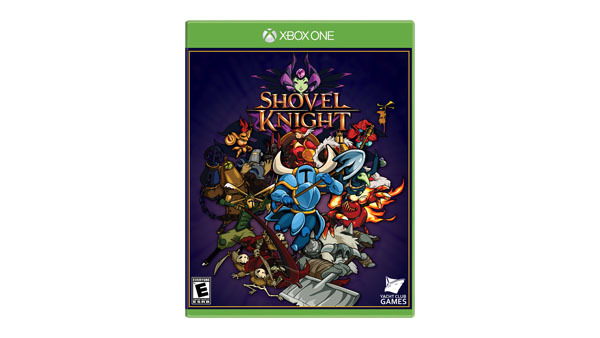 If you pre-ordered Shovel Knight at $19.99, your retailer should honor the original price, however. Finally, Yacht Club Games confirmed that all physical copies of the game will include a free download of the original soundtrack.